The Revising Committee of Censor Board wanted "Udta Punjab" to be set on a fictional land rather than Punjab. The censorship issue surrounding Shahid Kapoor-starrer "Udta Punjab" has taken an ugly turn as it is said to have become a political issue now. It has been reported that the censor board and the tribunal wanted the filmmakers to drop the usage of Punjab in the film and it has made Twitterati crazy. After the Central Board of Film Certification (CBFC) imposed 40 cuts on "Udta Punjab," the Revising Committee of Censor Board then wanted the film to be set on a fictional land rather than Punjab. On the other hand, according to another report, the Film Certification Appellate Tribunal (FCAT) asked the makers to drop Punjab from the title. The censor board is apparently under political pressure as Punjab elections are going to take place early next year. Therefore, releasing the film with the existing content might not be helpful for the political parties, sources close to the censor board said in a statement. If everything goes like this, there are possibilities that the film can get postponed or might release with a lot of cuts that could kill the essence of the story. Scheduled to be released on June 17, "Udta Punjab" deals with drug-trafficking issue in Punjab, and stars Shahid Kapoor, Alia Bhatt, Kareena Kapoor Khan and Diljit Dosanjh. 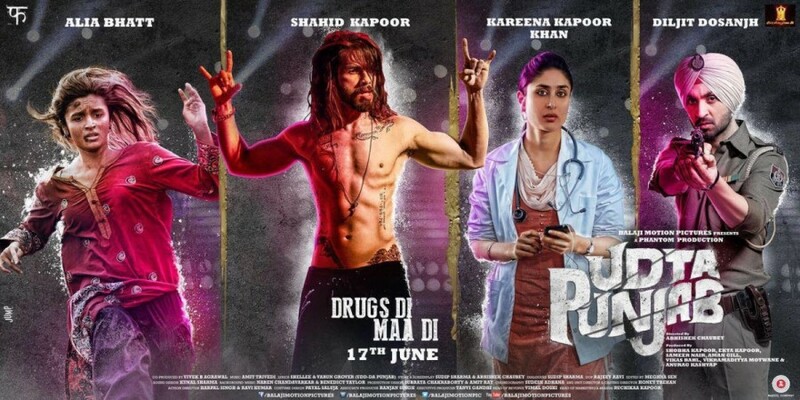 Shahid will be seen as rockstar Tommy Singh, Alia as a Bihari migrant, Kareena as a doctor and Diljit as a cop. The recent buzz is that the censor board might announce the final decision on June 6. Meanwhile, social media users have gone crazy after reports of removing the mention of Punjab from the film started doing the rounds.